Michael Bloomberg Earned $48 Billion and Eternal Adoration From Wall Street. But Does Anyone Else Want Him to Be President? What Bloomberg’s past — not all election wins and billions, it turns out — means for his political future. “Entrepreneur, philanthropist, and three-term mayor of New York City” is how Michael Bloomberg describes himself on Twitter, and if he has his way there may soon be a fourth title to add: president. Bloomberg — who will be 78 by the time of next November’s election — has dreamed of becoming president since he was a college student. But never before has his exploration of a presidential run been as serious as it is today. Eventually, with Barack Obama emerging as the frontrunner for the Democratic nomination, it became clear that the path to victory for any independent would be vanishingly thin, and Bloomberg dropped out. In early 2016, he again seriously considered running as an independent, but quickly abandoned the idea. “When I look at the data, it’s clear to me that if I entered the race, I could not win,” he wrote in March 2016. Now it’s Bloomberg himself — rather than any of his surrogates — airing the possibility of a run. He’s made appearances in Iowa and New Hampshire and has hit the interview circuit. “Do I think I could be a good president? Yes,” he told NBC’s Meet the Press late last year. Bloomberg has said he will make a final decision on whether to run before the end of February. So far, it all feels like the story is set up for the same deflating ending it reached in 2008 and 2016, a trio of flirtations that will have led to nothing: e pluribus nihilum. Pragmatic bipartisanship may have been a winning pitch to the electorate in 2008, but can it work today? What place is there in the presidential primary of today’s Democratic Party — a party reenergized by more left-leaning politicians like Alexandria Ocasio-Cortez and recommitted to an assertive progressivism embodied by the Green New Deal — for a centrist former Republican with a personal fortune of $48 billion? Such arguments are not uncommon among progressives — and this is before we even get to the difficulties posed by Bloomberg’s corporate history and record as three-term mayor of New York City. His past includes a trail of allegations, including fostering a work culture hostile to women and making misogynistic remarks, that are sure to provide a formidable obstacle to the Democratic nomination. It's not hard to find people in the financial industry who’d be happy with a Bloomberg presidency. “He’d pursue pro-growth policies and bring back measured, responsible government,” says one fund manager. But there’s hardly a wave of enthusiasm — even on Wall Street — propelling him to run. Is Michael Bloomberg the president no one wants? Bloomberg has battled political opponents critical of his coziness with business and perceived inability to stand up to corporate interests before — and come out on top. In November 2001, he faced Mark Green — a strident advocate for reining in corporate power who had served as New York City’s first public advocate — in his inaugural mayoral election. Bloomberg prevailed 49 percent to 47 percent. The forces that propelled him to victory offer a neat illustration of the paradoxes that would likely undergird his presidential bid: He spent $74 million of his own money on the campaign, a display of financial firepower at odds with the ongoing progressive project to reduce the influence of money in politics, and eventually profited in the shadow of 9/11 from the endorsement of outgoing mayor Rudy Giuliani, a figure now toxic to anyone hoping to win the presidential nomination of the Democratic Party. “Giuliani’s endorsement probably makes him DOA for the nomination right there,” argues Charles Chamberlain of Democracy for America, a progressive group that endorsed Bernie Sanders in the 2016 primary. Chamberlain notes that while the Democratic Party is a “big-tent party,” he doesn’t see Bloomberg advancing far into the race. What Bloomberg does offer, however, is a record of victory: not only in 2001, but in 2005 and again, for an extraordinary third mayoral term, in 2009. That record — three elections in a row, supported by a record combined spend of $250 million in direct campaign expenses — might just appeal to the supporters of a party still traumatized by the failure to knock off Trump in 2016. To those who argue, as Chamberlain does, that Bloomberg has no natural base, his supporters have a simple response: This is a strength, not a weakness. “I think we’ve all been captured by Trump’s idea of the base,” says Ester Fuchs, a professor of public affairs and political science at Columbia University who served as a special adviser to Bloomberg at City Hall from 2001 to 2005. “This idea that campaigning is all about wedge issues and digging deep into a base and narrowing it as much as you can: Bloomberg is the antithesis of that. As mayor, he won votes from across all sorts of constituencies and communities.” Should he run, Bloomberg may indeed go into the primaries without an obvious base to call on. But he would have a track record in building election-winning coalitions — and this, according to Fuchs, is far more valuable. Importantly, Bloomberg’s record of success extends beyond politics into his business career. Despite an ever-mutating cast of threats and competitors, and the suspicion among many on Wall Street that Bloomberg himself would have little interest in returning to the minutiae of corporate management following his 12 years as mayor, Bloomberg’s financial data behemoth has grown impressively in the five years since he left City Hall. According to Burton-Taylor International Consulting, a firm that tracks financial industry trends, Bloomberg LP’s share by revenue of the global market data industry reached an estimated 32.7 percent in 2018, up from 31 percent in 2013, Bloomberg’s last year as mayor. 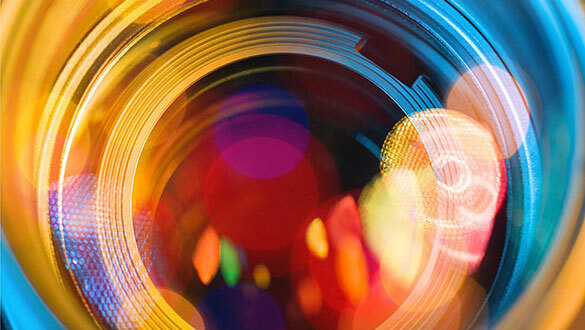 In the same time, the market share of Refinitiv (formerly the financial and risk business of Thomson Reuters), Bloomberg LP’s nearest competitor, fell to 22.2 percent from 27.4 percent. The money that his eponymous business, in which he retains an 88 percent stake, has generated for him may be Bloomberg’s biggest electoral strength. Bloomberg is, according to Forbes, the tenth-richest person on the planet. His wealth far exceeds that of any candidate who has ever run for president, Trump included. In a nomination campaign that will last close to 18 months, policy substance arguably matters less than sheer staying power. Bloomberg has the financial means to outlast all his opponents. But endurance only counts to the extent it is allied to growing support. Jerry Crawford, a veteran Iowa strategist, argues that even though it’s highly unlikely Bloomberg would sweep the early states, the field of candidates will inevitably thin through the first months of 2020, which should play to Bloomberg’s advantage. And what an ego it is. Bloomberg tried to get Pope John Paul II to blurb the first edition of his memoir prior to its publication in 1997. The pope declined, but Bloomberg has more than made up for the disappointment with the second edition of Bloomberg by Bloomberg, released in early January to coincide with the possible announcement of a presidential run. The opening chapter alone contains numerous references to the $10 million severance check Bloomberg received from Salomon Brothers in 1981, as well as an anecdote about how he tried to right the ship at home following his layoff from the storied bond trading firm by buying his wife a sable coat. Later chapters include, amid the expected homilies on business and government, frequent Trumpian asides (“There are few people as lucky as I have been. Depending on your perspective, I deserve it or I don’t. No matter which, I have it.”) and a series of meandering reflections on his experiences as a pilot. 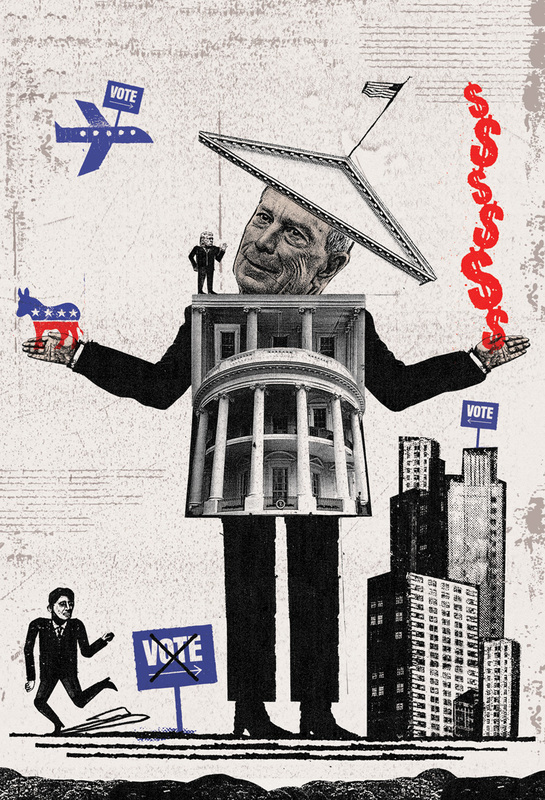 So how might Bloomberg construct his “lane” in a crowded Democratic primary field? “I don’t know many Democrats who, given an opportunity to replace the current president with Bloomberg, would have any problem with that,” contends Crawford. Take Trump, subtract the ideological hatreds, and add substance, and you end up with a candidate like Bloomberg, those close to the former mayor argue. He’s a candidate, in other words, who can restore dignity and decorum to presidential politics while comfortably out-Trumping Trump on all the measures that make the incumbent appealing to a certain segment of the electorate: his wealth, his self-regard, his record of business success. This may be a convincing pitch for the general election, but clinching the Democratic nomination will be another matter. Through his political action committee, Independence USA, Bloomberg spent $110 million to support Democrats contesting battleground House districts in last November’s midterm election. Twenty-one of the 24 candidates Bloomberg supported — the majority of them women — ended up winning their seats. Success as a funder of progressive causes in the midterms could conceivably convince Bloomberg to shelve his own presidential ambitions in favor of a more withdrawn role. He could become for the Democrats in 2020 what the Koch brothers have become for the modern GOP. But those close to him doubt Bloomberg will heed the call to the financial shadows. In particular, they point to his experience in City Hall, which demonstrated to him the clear advantages of direct action over mere suasion. The better approach is to view his spending during the midterms as a guide to the types of issues he will emphasize to broaden his appeal among progressives: health care, tax reform, and, above all, gun safety and climate change. Over the past four months, Bloomberg has visited more than 30 cities across the country, many of them in crucial early primary states. Gun safety and climate change are the two issues he has put at the center of this pre-campaign campaign, and the early signs of support for a presidential bid built around them have been quietly encouraging. This is a view echoed by others in the party, such as Rouda: “I think his vision for combating climate change — for using capitalism as a way to address the ills of climate change — is a very compelling argument that will generate support across the party’s base,” he says. There can be no doubting the depth or sincerity of Bloomberg’s commitment to addressing these issues. He’s thrown more money at them than any other private donor over the last decade, and he's been hyperactive in his efforts to organize on-the-ground action. He founded Mayors Against Illegal Guns in 2006, well before the need for gun reform became a relatively settled issue in the Democratic Party; his activism continued after he left City Hall, with Mayors Against Illegal Guns eventually becoming Everytown for Gun Safety, an organization he continues to fund. As mayor of New York City, he was similarly unequivocal on the need for urgent action to address climate change — work that has continued in the years since he left City Hall. “He’s shown he's serious about fighting the climate crisis, from supporting local efforts to transition to clean energy to working with us to retake a pro-environment majority in the House of Representatives,” says Pete Maysmith, campaign director for the League of Conservation Voters. Action, not just words: According to his boosters, this can offer Bloomberg a real point of differentiation during the primary. To make his case, Bloomberg will need to shed some of the recalcitrance and combativeness that colored his relationship with the media as mayor. In recent months, he’s done the occasional TV or local press spot, but there’s little evidence he or the members of his inner circle are ready to embrace the publicity and scrutiny that a full-scale assault on the Democratic nomination would require: Bloomberg himself declined a request to be interviewed for this story, as did Dan Doctoroff, the former deputy mayor who left City Hall in 2008 to become president of Bloomberg LP. Other members of Bloomberg’s inner circle, including Patricia Harris, the former deputy mayor who now heads Bloomberg Philanthropies; Kevin Sheekey, another deputy mayor who was the political operative driving Bloomberg’s presidential explorations in 2008 and 2016; Ed Skyler, Bloomberg’s first-term campaign press guru and also later a deputy mayor; and Bradley Tusk, Bloomberg’s 2009 campaign manager, did not respond to requests to be interviewed. A number of Bloomberg’s former advisers were happy to speak off the record; only one, Fuchs, assented to being quoted. Even on the issues that are Bloomberg’s purported home turf, the winds of change are arguably not in his favor. On climate change, the policy energy in the Democratic Party today is with the Green New Deal, a vast and ambitious plan, supported and in part designed by new congresswoman Ocasio-Cortez, to transition the U.S. economy to renewables and eliminate all domestic industrial greenhouse gas emissions within the next ten years. The whole premise of the Green New Deal, building on the recommendations of last October’s report from the United Nations Intergovernmental Panel on Climate Change, is that the current environmental crisis is so urgent that it requires drastic action going far beyond anything achieved or contemplated to date. “The tools of regulation and taxation, used in isolation, will not be enough to quickly and smoothly accomplish the transformation that we need to see,” the draft resolution calling for the establishment of a House select committee on the Green New Deal states. It’s unlikely Bloomberg will sign on to the Green New Deal the way other Democratic presidential hopefuls, such as Senators Cory Booker and Elizabeth Warren, have. This is because so much of his own approach to combating climate change looks and feels like the consensus-driven, bipartisan, pragmatic network of incentives and tradeoffs the Green New Deal is explicitly designed to supersede. In recent days, Bloomberg pledged to outline a plan for his own version of a Green New Deal, “accelerating U.S. transition to 100 percent clean energy.” Details have yet to be released, though it seems almost inevitable the Bloomberg Green New Deal will be vastly different in vision and scope from the original. The most sustained articulation of Bloomberg’s climate change strategy comes via Climate of Hope: How Cities, Businesses, and Citizens Can Save the Planet, the book Bloomberg co-authored with environmental activist Carl Pope in 2017. Most of the book’s recommendations involve some variation on the idea that to address climate change, government needs to get out of the way and let private enterprise, via various tax and investment incentives, do its thing. “Many of the government actions that are most necessary — like opening utilities up to competition from solar panel companies and ending subsidies for fossil fuels — require nothing more than applying the free market principles that conservatives champion,” Bloomberg writes. On fracking, the Keystone pipeline, and nuclear power, which Bloomberg supports and many on the left deplore, he often sounds more like a Republican than a Democrat. Either way, climate change seems far from the campaign slam dunk those in Bloomberg’s inner circle want to believe it is. At the very least, it’s a policy area that creates just as many complications for the would-be candidate as opportunities. But campaigning on his mayoral record seems just as fraught as campaigning on climate change. It’s true that over Bloomberg’s 12 years as mayor, the life expectancy of New Yorkers grew by 3.2 years, far outstripping the national increase of 1.8 years — a statistic Bloomberg himself is particularly fond of citing. City health initiatives played an important role in driving this increase. Bloomberg modernized the government of New York, rezoned large swaths of the city to encourage development and urban revitalization, enacted a bold attempt at reform of the school system, and introduced the biggest municipal affordable housing plan in the nation’s history, a $7.5 billion package designed to help 500,000 New Yorkers find a home. Under Bloomberg, major crimes in New York, including homicides, fell to the lowest level on record, even as crime rates across the country plateaued; the city suffered no post-9/11 terror assaults while he governed. Bloomberg also proved a master at raising revenue without stalling private-sector investment — and he was not afraid to do politically unpopular things to achieve this objective, such as when he raised the real estate tax over 18 percent in 2003. And yet, despite these achievements, Bloomberg never did much to dispel the notion he was governing for the benefit of the rich. Twenty-five thousand buildings were demolished in New York during the Bloomberg years, and 40,000 new buildings went up. By the end of his tenure, Bloomberg’s administration had rezoned 40 percent of the city. But who was this dramatic reshaping of New York designed to please? Bloomberg ran City Hall “like an elite corporation,” says Jeremiah Moss, the urban critic whose 2017 book, Vanishing New York: How a Great City Lost Its Soul, chronicles the Bloombergification of America’s leading metropolis. “But people and places are not corporations or products, and when they're treated like it, they suffer.” At the time of Bloomberg’s election in 2001, 18 percent of New Yorkers lived below the poverty line. When he left office, the figure had risen to 20 percent. Under his watch, the city’s homeless population reached numbers unmatched since the Great Depression. “We love the rich people,” Bloomberg announced on WOR-AM radio in 2009 — and it showed in his policy choices. He disinvested in the New York City Housing Authority and let Rikers Island go to rot. As new steel-and-glass towers to house the wealthy sprung up across the West Side of Manhattan and along the Brooklyn and Long Island City waterfronts, essential services such as the subway crumbled into disrepair. Bloomberg vetoed a living wage bill in 2012, tried to kill the policy even after it became law over his objections and he was about to leave office — and was still complaining about it in 2015, two years after his departure from City Hall. The Democratic Party is now the home of lawmakers who believe that the very existence of billionaires is immoral. Income inequality will be a defining issue of the party’s primary. Meanwhile, Bloomberg claimed toward the end of his third term that “if we could get every billionaire around the world to move here, it would be a godsend that would create a much bigger income gap.” What hope does a man in favor of greater income inequality have in any party’s primary, let alone the Democrats’? Bloomberg’s challenges do not stop at policy substance; there’s also an important question of character involved. The Democratic Party has not opposed Trump only to make a candidate with a known history of making sexist remarks and off-color jokes its nominee for president in the #MeToo era — but this is, credibly, the risk that nominating Bloomberg presents. Eventually the suit settled out of court; Garrison was paid an undisclosed sum and forever bound to silence. Controversy followed Bloomberg into the 2001 mayoral campaign after journalist Michael Wolff publicized the contents of a booklet that Bloomberg’s employees gave him for his 48th birthday in 1990. The book was a compendium of quips Bloomberg had made in the workplace, many of them racist, sexist, and homophobic. “If women wanted to be appreciated for their brains, they’d go to the library instead of to Bloomingdale’s,” read one. During that year’s Republican primary debate, on September 9, Bloomberg played down these comments as a feeble attempt at “Borscht Belt humor” — the historical antecedent of Trump’s own “locker room talk.” Two days later, the Twin Towers came down, and Bloomberg’s “jokes” passed into oblivion. Wealth, paranoia, and secrecy, an operating model out of step with the times, the insularity bred by success, a lack of dynamism: Many of the arguments marshaled against Bloomberg’s presidential bid are similar to the charges regularly leveled at Bloomberg the company. Time and time again over the last three decades, Bloomberg LP has been, according to its critics, on the brink of death, about to succumb to the financial industry’s legion of “Bloomberg killers.” As a businessman, Bloomberg has not just survived these threats — he’s repelled them convincingly. He’s a master at turning bad situations to his advantage: This is, after all, a man who’s 5 feet 7 inches tall but owns a New York state driver’s license listing him at 5-foot-10. Still, seeking the presidential nomination of a party whose regard for Bloomberg ranges from grudging respect to violent disdain looms as a challenge far greater than anything he has known to date. From Ed Koch’s failed 1982 gubernatorial campaign to the miserable presidential bids of John Lindsay and Rudy Giuliani, no New York City mayor has ever successfully pursued higher office. Should he decide to run, Michael Bloomberg will need more than a little luck to reverse the historical trend.